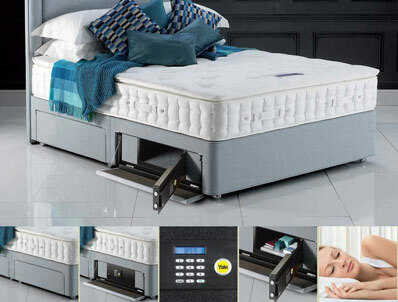 Please note that this can ONLY be added to any new Hypnos divan base. It cannot be added to an exsisting order and must be ordered at the same time you order your new bed. 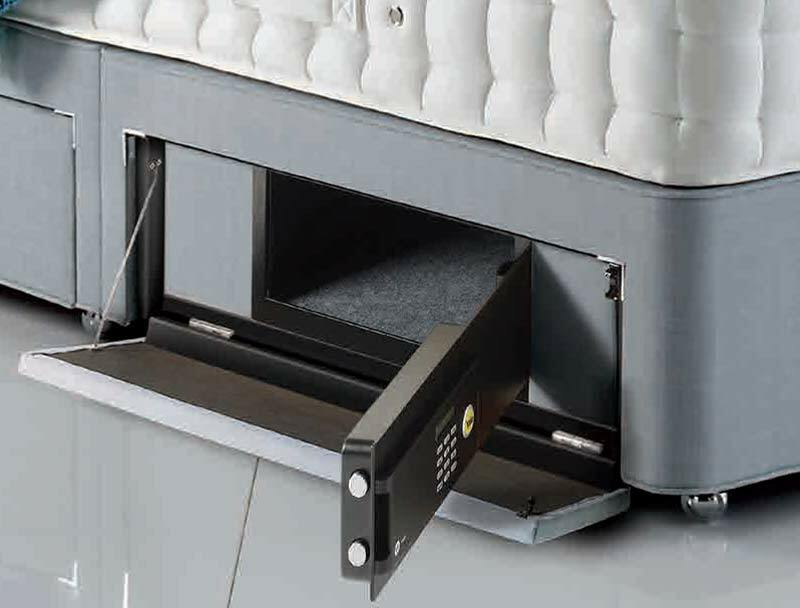 Hypnos have partnered with Yale one of the worlds leading locksmiths to offer you the chance to upgrade your hypnos bed that you are purchasing from us by adding a safe which is hidden in to a full size drawer in your divan base. 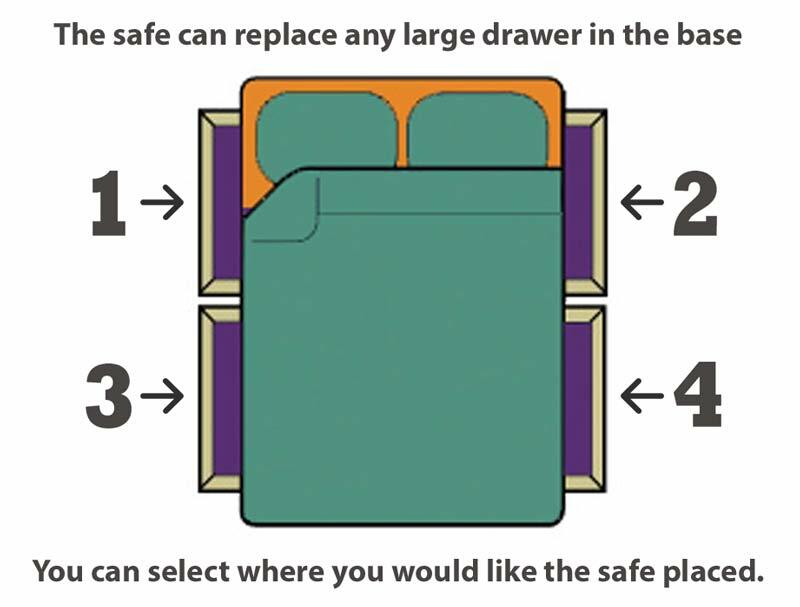 The drawer has a fabric drawer front which will match your base, as seen in the picture you can push the drawer front down to access the safe. For ultimate peace of mind the Yale safe comes accredited with £10,000 valuables protection and a £1000 cash rating. 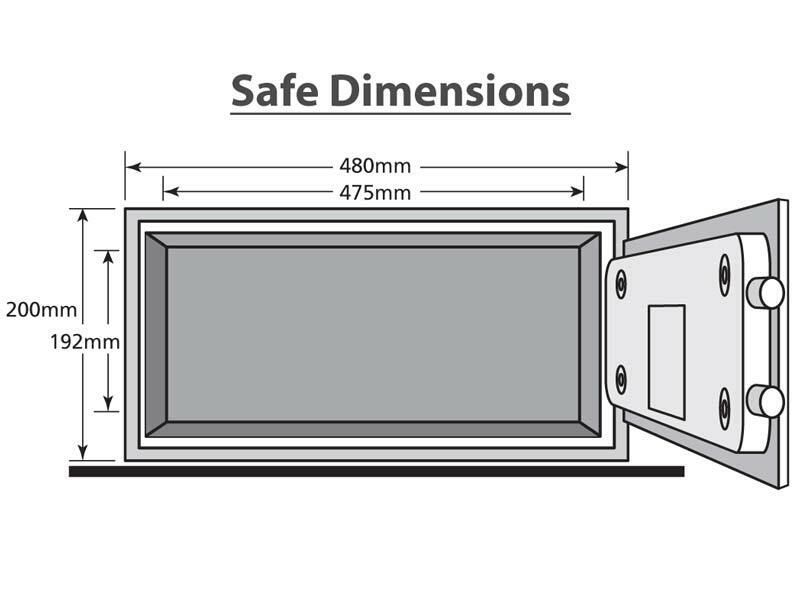 You can open the safe using a code you choose yourself, so its easy to remember and it's just as easy to re-set. When you enter your cose, the motorised bolts withdraw and the door opens automatically.